Disneynature's "Monkey Kingdom" opens Friday April 17, 2015! 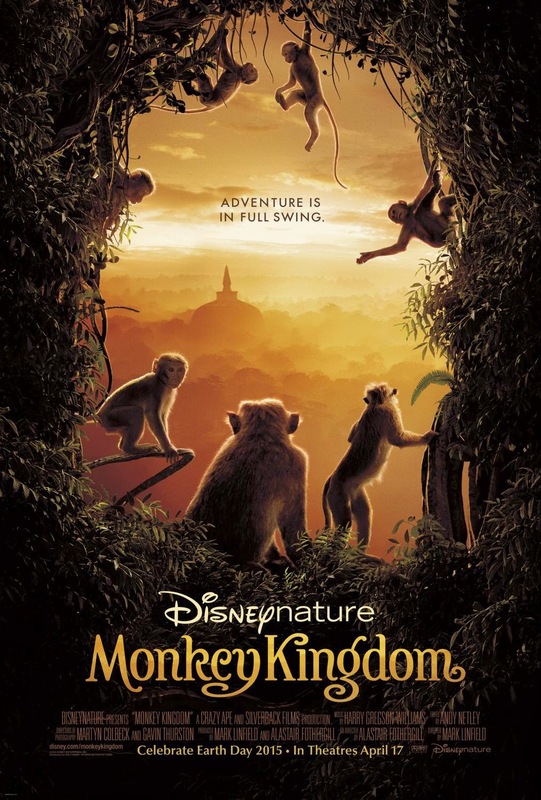 Purchase your tickets for "Disneynature's Monkey Kingdom" using our Fandango link - http://bit.ly/1grqd3k. Disneynature's "Monkey Kingdom" spotlights the gripping reality of a newborn monkey and its mother, struggling to survive within the competitive social hierarchy of the Temple Troop, a dynamic group of monkeys who live in ancient ruins found deep in the storied jungles of South Asia, alongside a rich cast of forest characters. Life is grand, food is plentiful and safety is assured if you're lucky enough to be born on the higher rungs of the Troop's social ladder. But this young mother and her infant find themselves in a constant state of hunger, dodging threats from higher-ranking monkeys determined to keep them on their assigned rung. It'll take a lot of ingenuity, hard work—and a little luck—if this little family hopes to change their place in the world. Directed by Mark Linfield ("Chimpanzee," "Earth") and co-directed by Alastair Fothergill ("Chimpanzee," "Bears"), Disneynature's eighth True Life Adventure—the follow-up to 2014's "Bears"—swings into theaters in April 2015.